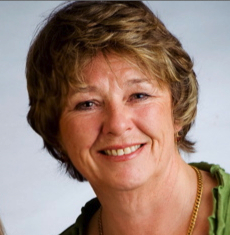 Gerry is a somatically trained psychotherapist who includes awareness of the body in her work with clients. This helps her clients become more aware of their unconscious body patterns and how they may hold themselves back from living their life to their potential. Gerry is also passionate about supporting people as they go through the ageing process and are looking for new meaning and understanding in their life. I have been in private practice since 1996 and I have my room in Crows Nest. Although my practice is a single person organisation I am surrounded by colleagues and Crows Nest is quite a centre for wellbeing services. I offer individual psychotherapy covering a wide range of issues including depression, anxiety and life transitions although many of my clients are on a journey of personal development and want to understand themselves more. As I age my interest has turned to the ageing process and to facilitating this major life transition and finding purpose and meaning. I have created a program called Way of Wisdom: Finding Purpose in the Third Act of Life which can be taken as one-on-one sessions, weekly workshops and weekend workshop. My original career was in the IT Industry, initially in technical roles in England. When I came to Australia I moved into sales and management and started on a path of personal development. I started on a training program in Somatic Psychotherapy, in the beginning just for my own development, but then became passionate about the value of what we were learning. And the more I learnt about myself the less I wanted to be in the corporate world. I believe change comes from awareness of who we are, how we feel, the decisions we have made and how we relate in the world. Somatic psychotherapy provides a safe, non-judgemental and nurturing environment where our clients can explore their relationship with the world through their relationship with me. Through the awareness that develops the clients can see the decisions they have made and make some new choices. As we age the development of this awareness is even more important so that we can live life fully until we die, engage with our authentic self. Somatic Psychotherapy, whilst inclusive of “talking therapies” can also be informed by bodily experience and somatic techniques including the recognition of non-verbal signals and with permission, appropriate therapeutic touch. I am experienced in the observation of breath, posture, energetic patterns of expansion and contraction and unconscious movements of the body — all of which convey information about the clients’ emotional state. By including these bodily experiences, greater awareness of both the conscious and unconscious patterns is gained, and by reflecting them back to the client, the client can be guided to deeper levels of awareness. These techniques are gaining wider recognition within the wider therapeutic community and are particularly effective with both simple and complex trauma, which have so much impact at a bodily level. Once the client has gained more awareness, more choice and autonomy is possible. My room is warm and friendly and I aim to ensure the client is made to feel welcome and comfortable. The initial session is an opportunity for me and the client to get to know each other, explore what the client is looking for and what issues they want to address and work out how and if we can build a relationship. I will explain how I work and what they can expect. I usually contract with my clients to see them weekly, unless they need additional support, and ask them to commit to at least ten weeks to make sure there is time to connect. We will set a regular time aside each week to meet for our hourly sessions. I love to sing and dance: I go to 5 Rhythms dancing when I can, which is a form of moving meditation, there are some wonderful groups here in Sydney; and I am a member of the Threshold Choir which sings to those who are dying, such a privilege. As I grow older I am more pulled towards considering death and dying, I am finding it engaging, life affirming and opens up a pathway for the spirit. If you would like to book an appointment with Gerry, visit her profile or website.